Matcha , also maccha, refers to finely milled or fine powder green tea. In Japan, green tea is so popular is it commonly referred to as just “tea” – or ocha, in Japanese. Matcha is green tea leaves that have been ground into a fine powder, hence the literal translation, “ground tea”. Various regions of Japan produce green tea for use as matcha by growing rows of the tea plant (Camellia sinensis) and shading them with bamboo a few weeks prior to harvest. The shade forces the plants to increase production of chlorophyll, which helps the leaves adjust to and absorb the dim light. It also increases the level of amino acids, the most notable of which is l-theanine, known for promoting mental and physical relaxation, decreasing stress and anxiety, and counteracting some of the nervous agitation associated with caffeine. The chlorophyll-rich leaves are then harvested, steamed, and dried. Veins, stems, and impurities are then removed, leaving only a small amount (about 10% of the original harvest) of what is called tencha. The tencha is ground, often in a stone mill, to produce the bright green powder known as matcha. Grinding by stone is a slow and expensive process, taking about an hour to produce one ounce of matcha – which can sell for as much as 100 dollars – and is now used only for the highest grades of matcha, which generally remain in Japan for exclusively for use in tea ceremonies. Modern grinding techniques involve the used of sophisticated machines, which greatly decrease the time and cost associated with stone grinding, producing a more affordable matcha and increasing its availability outside of Japan. 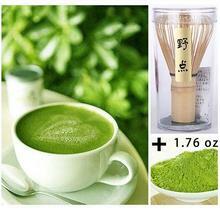 Green tea powder beauty and has good efficacy: Green tea could make woman more beautiful ! Because it has three beautiful factors : 1.the anti-allergic convergence: the catechin has the function of antibacterial antiphlogistic,it is the excellent component for fondling skin; 2. Whiten skin: green tea contains a lot of vitamin C, which can fade skin’s pigmentation, make your skin white and tender ;3. Antioxidant : the function of green tea’s antioxidation is 20 times as vitamin E, effectively protect your skin, reduce the radicals that occured because of ultraviolet ray and pollution . Everyday you could drink the green tea as drinks, also you could make it for face massage, even you can also touch some green tea, and then add some general toothpaste after mixing them you could use it to brush your teeth, it not only has the good effect to your teeth,what ‘s more ,it makes your breath lasting fresh. Usually,after washing your face , you can dip some water and take some green tea powder by hands, then pat your face, the tannins ingredients that contained in green tea ,which had the function of contractive skin, strength your skin membrane , and beauty your cutaneous . Once a day and don’t discontinuous, after taking green tea pat and wash your face, besmear emulsion to your face as usual , then you can reduce black dot,freckles,give you the whiten and impeccable skin. In addition, in order to achieve beautiful skin , you can at least drink two cups of green tea powder everyday in the morning and evening , now try your homemade green tea mask, this kind of mask can improve your skin quality, and can also remove acne, it is so simple,economic and effective. 1.Green tea powder life usage : Usually,after washing your face , you can dip some water and take some green tea powder by hands, then pat your face,it has the function of contractive skin, strength your skin membrane , and beauty your cutaneous .Once a day and don’t discontinuous, then you can reduce black dot,freckles. 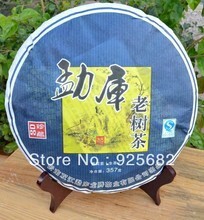 2.Green tea powder and yogurt usage : A spoonful of green tea powder added to 200C. C. low-fat yogurt or chlorella yakult, take it 1 – 2 hours before your meals , even you take your meals normally. 3.Green tea powder and apple usage : Take one apple juice, add suitable amount of green tea powder, take it in the morning and evening,take it before your meals,it is suitable for people who could not control their appetite. 5.Green tea powder commonly used method : Summer take it as ice drink which is cool and reduce fire: 2 grams of green tea powder add 450ML mineral water add suitable honey or sugar ,it will taste better. 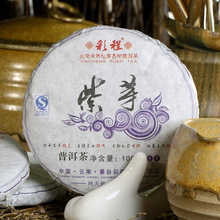 Winter take it as hot drinks which has rich nutrition: 2 grams of green tea powder add 300ML milk or bean milk. 6.Green tea powder recipe : Gentle and graceful green tea: green tea powder 6 grams add hawthorn 25 grams add three bowls of water, boils it for 6 minutes ,take it after three meals. You could continue to drink it if you pour boiled water into it, once a day.Eliminate your dewlap grease, and it is good effection of reduce blood stasis. 7.Green tea powder anti-whelk mark mask : Suitable amount of green tea powder add one egg yolk add add suitable flour :add egg yolk into the flour then mix them, and then add green tea powder, apply them to cover your face, after 20 – 30 minutes, clear your face by warm water. It has very good effect in removing whelk mark . 8.Green tea powder tighten your skin mask : Suitable amount of green tea powder add honey add Suitable amount of flour: add honey into the flour and then mix them, then add green tea powder mixture, apply them to cover your face, after 20 – 30 minutes, clean your face by warm water. The average person can all drink it, especially people who is fat, elderly and women drink ,it is much better. Once a cup, about 150 milliliter. Everyday 2 – 3 cups. Women who is during the time of lactation ,it is better not to drink tea,because tea has the function of convergent milky juice. 1.Before you apply it to cover your face,you should wash your face completely,it will have better effect after you had a shower. After you mask your face and then touch your skin,you could feel it smooth at once. 2.Choose paper mask,so that you could guarantee the mask will be fully absorbed. 3.After you apply the mask on your face,you should not wait until they are dry completely,it is better to wash your face when it will dry,or the mask will absorb your skin’t moisture,and make your skin dry. 4.Generally speaking herbal mask will not make you allergic,unless your skin is specially allergic.If you are allergic of honey or milk ,and you could use mineral water instead . 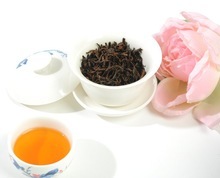 1.Anti- ageing : Green tea contains antioxidants which help anti-ageing . Because of the metabolism process by body , if peroxidization, it will produce a large amount of free radicals, it is easy ageing, also could cause your cells be injured. SOD (super oxide dismutation) is the scavenging for free radical , can effectively remove excess free radicals, prevent the damage that free radical occured to human body. The tea catechins in green tea can significantly improve the activity of SOD, scavenging free radicals. 2.Anti-bacterial : Research shows that the catechins has the effect of inhibitory that cause human body pathogenic, at the same time it won’t hurt good intestinal bacteria’s breed, therefore green tea has the function of care intestine. 3.Reduce blood- fat : The animal experiments done by scientists showed that the catechin in green tea can reduce plasma’s total cholesterol, free cholesterol,low density lipoprotein cholesterol and the amount of triglyceride ,at the same time it could increase high-density lipoprotein cholesterol. The experiments to human body showed that it would inhibit platelet’s aggregation, reduce arteriosclerosis incidence. Green tea contains flavonoids alcohols, could antioxidation, which also can prevent blood clots and platelet formed, reduce cardiovascular disease. 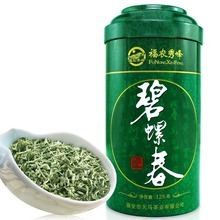 4.Fitness : Green tea contains theophylline and caffeine, can via lots of roles to activate protein kinase and triglyceride lipase, reduce the accumulation of adipose cell , so that achieve the effection. 5.Prevent caries and eliminate halitosis : Green tea contains fluoride, the catechin has the function of inhibitting caries produced, reducing dental plaque and periodontitis happened. The tannic acid that green tea contained, has the function of antiseptic , can prevent food residue and breed bacteria, that’s why it can effectively prevent halitosis. 6.Prevent cancer : Green tea has the function of inhibit certain cancers , but its principle is limited to inference stage. To prevent the occurrence of cancer, drink more tea certainly has the positive encouragement function. 7.Whiten and anti-ultraviolet function : Through animal experiments experts found that the catechins could resists UV – B which would cause skin cancer. 8.Meliorable indigestion situation : Recent research report shows that green tea can help improve indigestion situations, such as the acute diarrhea caused by bacteria , at this time you could drink some green tea to reduce the state of illness. Matcha is a type of powdered green tea grown in the shade like gyokuro and which is traditionally used in the Japanese tea ceremony. These days, it is not uncommon to see it used in untraditional ways such as in matcha lattes and other green tea recipes. It is highly valued for it’s rich supply of antioxidants and green tea benefits. Traditionally, structures of bamboo covered with rice straw are erected over the tea plants, blocking off 90 percent of the light for 3 weeks. Once harvested, the leaves that will eventually become matcha are steamed in the normal way green tea are, however they are not rolled but instead dried the then put into a wind tunnel type of machine which breaks the inner parts of the leaf away from the veins, resulting in a product known as tencha.